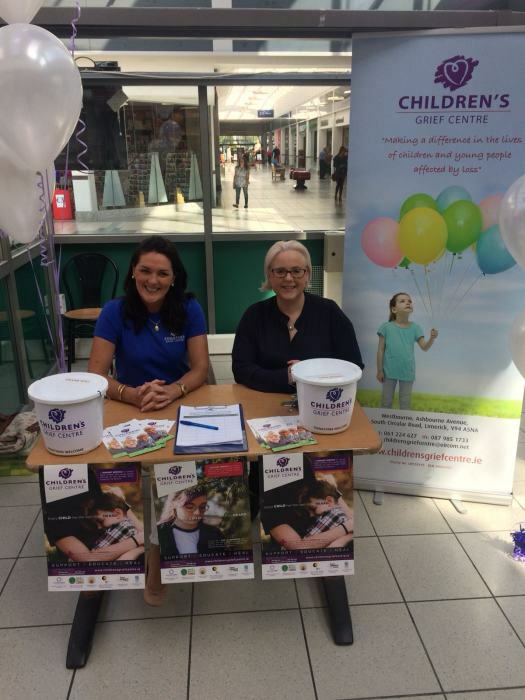 We are delighted to be here at the Cresent Shopping Centre in Dooradoyle, Limerick for the Children’s Grief Centre Fundraiser. Please help us raise donations so that we can continue to run our service, plan our activities and expand upon the services we can offer to the children and young people and their families affected by loss through death, separation & divorce. As well as being an effective and efficient form of fundraising, it allows us to have a two-way conversation about our work, providing an opportunity to answer questions. Contact the Children’s Grief Centre on 087 985 7133 or on 061 224 627 with the name and location of the fundraiser, who can check the details for you. The Children’s Grief Centre registered charity number (20919) is printed on the materials carried by our fundraisers. Fundraisers also carry information about the Children’s Grief Centre and should be able to answer questions about the charity, our fundraising and the services we provide.